“Hi, where are you going? Hello, teacher! See you soon...” Donglona Adawa Thomas, a tall, handsome, confident and cheerful young man, often met acquaintances and greeted them warmly in Chinese when walking at the school. 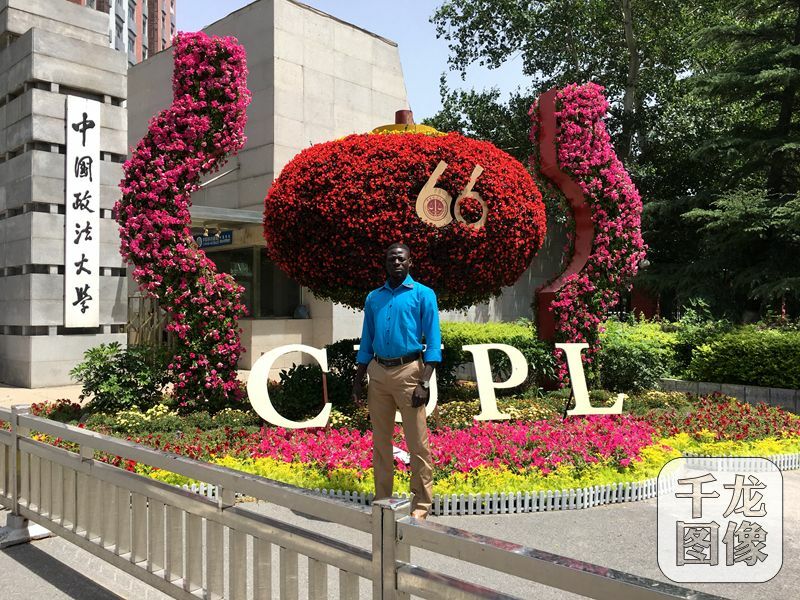 Thomas comes from the Republic of Chad and he is an international politics major undergraduate of International Studies College of China University of Political Science and Law (CUPL). Recently, he has just passed the graduation thesis defense and currently he is busy preparing his speech at graduation ceremony, recording graduation videos and receiving graduation story interviews. 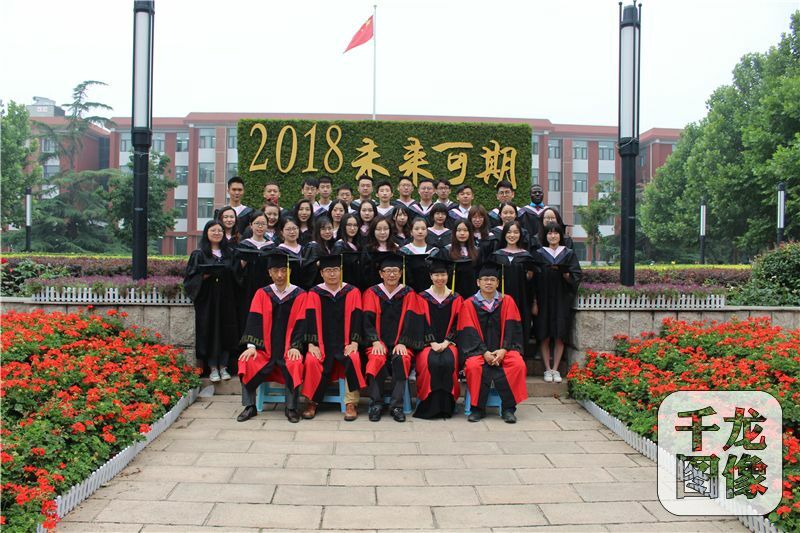 He plans to thank and bid farewell to teachers and classmates, and he is also looking forward to the following study life for a master degree in Beijing. 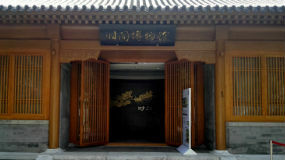 At Wenyuange Library of CUPL, Thomas seriously cooperated with the school staff to shoot a graduation video themed “four year”. As a representative of school’s outstanding graduates in 2018, he recalled the four-year good times at school in the video. When speaking of the school, Thomas expressed his reluctance to leave it. “I have spent almost all four years at the school, so I have deep feelings about this place. Now I feel so bad when I think of the fact that I’m going to leave the school soon,” Thomas said emotionally. 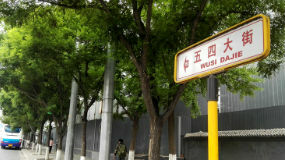 In 1976, China began to provide the Republic of Chad with college and university scholarships, involving agriculture, medicine, road and bridge, hydropower, petrochemical engineering and architecture majors. Since 2006, China has continuously strengthened its education assistance to Chad, providing more than 220 government scholarships and more than 1,100 vocational training and short-term exchange places. Thomas is one of the beneficiaries. 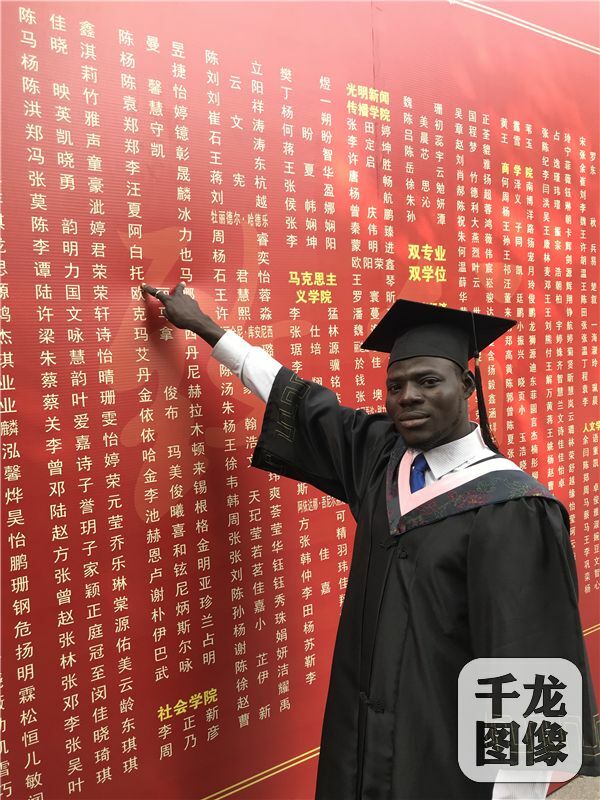 In 2013, as the top scorer of Chad’s national college entrance exam, 22-year-old Thomas received the Chinese government scholarship and gained the valuable opportunity to study in China. 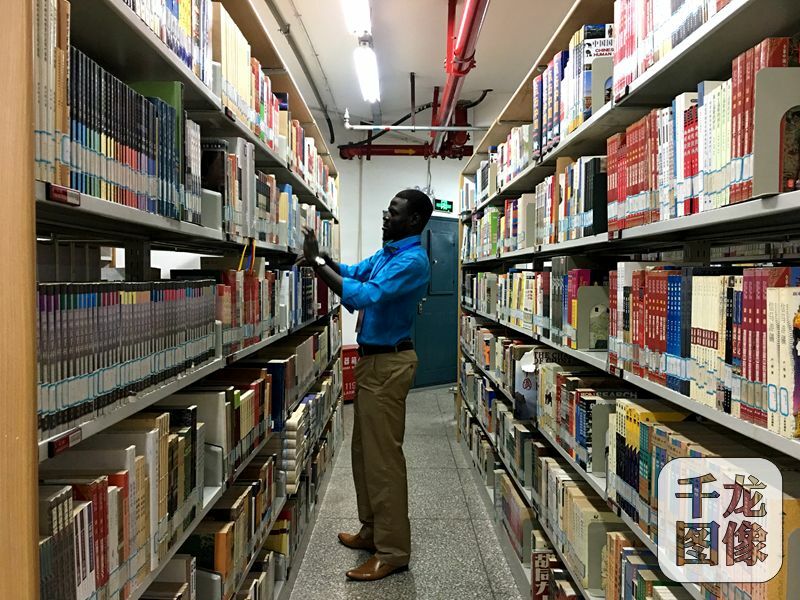 After learning Chinese in Nanjing for a short time, in 2014, he successfully came to the International Studies College of CUPL to study international politics. Due to long distance from hometown, Thomas hasn’t returned home after coming to China, but he still felt the warmth of home at the school. He spent four Spring Festivals at CUPL, and he was greatly impressed by the school’s heart-warming arrangements like greetings from school’s leaders, free New Year’s Eve dinners at canteens and invitations to participate in various experience activities and watch CCTV New Year’s Gala. “During Spring Festival every year, I felt the school’s concern everywhere and it deepened my understanding of Chinese culture. The school usually gave us red envelopes. It doesn’t matter how much money is in the red envelope, but the most important thing is the blessing it bears,” Thomas said sincerely. 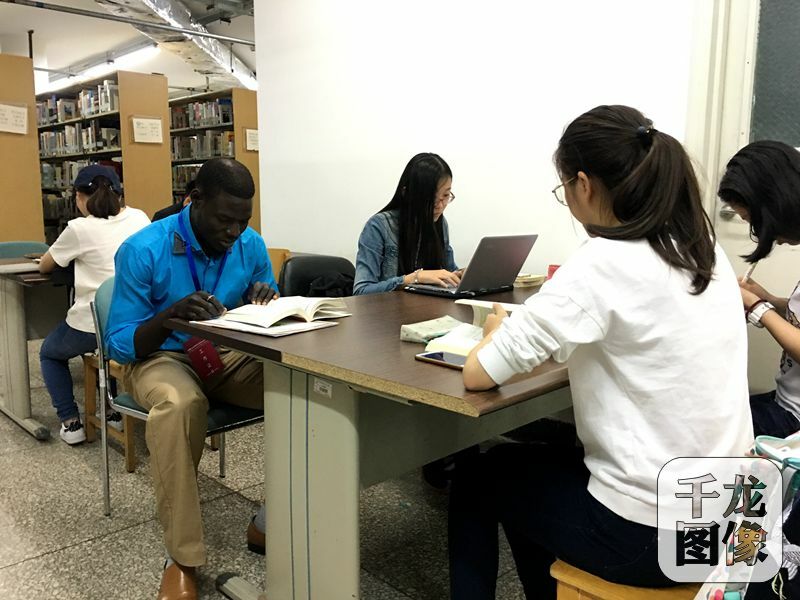 With a thankful heart, Thomas worked as a volunteer group leader at Fayuange Library for one year, and he was in charge of seat management work at the library. He said frankly that the reason why he signed up for this volunteer activity was to make up for the “trouble” he had once brought to the library. He used to keep studying at the library, but sometimes he forgot to “release” his seat after leaving the library, which resulted in occupying the library’s resources. Finally, Thomas’ hard work and excellent performance received unanimous recognition and he won lots of titles such as the school’s outstanding volunteer, volunteer star and inspiring figure. 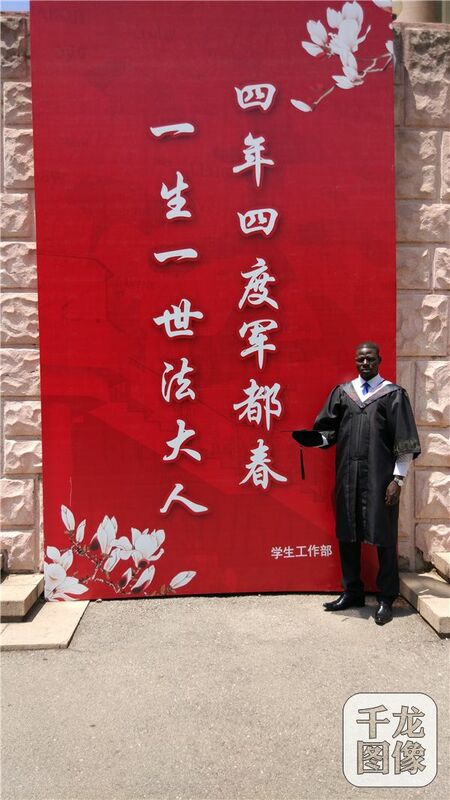 After graduating from CUPL, Thomas chooses to study further for a master degree in China. In the future, after studies he hopes to return to Chad to serve the motherland and become a successor of building Chad. Meanwhile, he hopes to become a bridge to promote the friendship between China and Chad and an ambassador to spread African and Chinese culture, in an effort to contribute to the friendly relations between China and Africa. 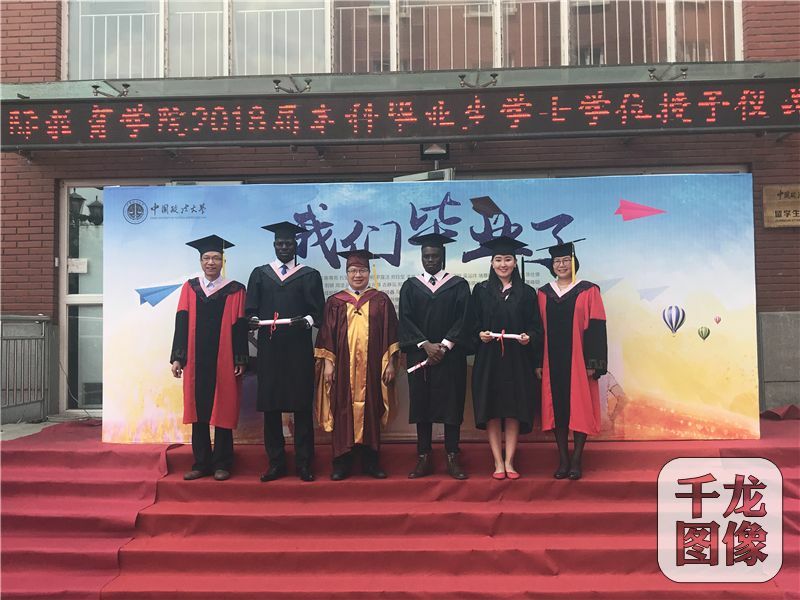 In 2015, President Xi Jinping announced at the Johannesburg Summit of the Forum on China-Africa Cooperation that China will provide Africa with 2,000 degree education places and 30,000 government scholarships within three years. To this Thomas expressed that studying in China is a great treasure in life and he sincerely thanks the Chinese government for offering him a valuable opportunity to study abroad. 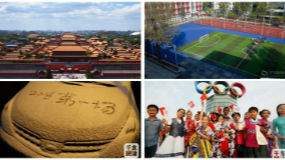 “China is a fast-growing country and it’s a good time for me to study in China. 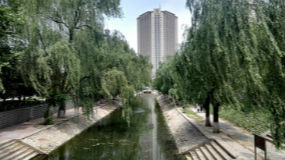 My country lacks talents in international relations studies, so staying in China for further study is a good choice. Besides, I have now got accustomed to the life in Beijing, and if I go to study in other cities, I will probably feel uneasy,” Thomas said with a smile.